Our goal is to connect people with the best local experts. 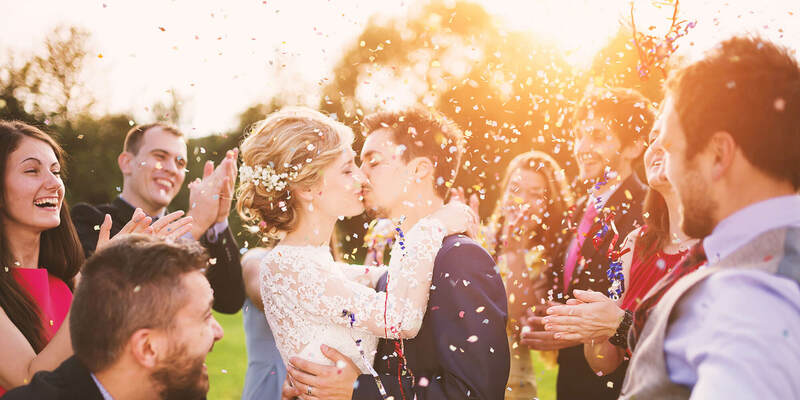 We scored wedding photographers on more than 25 variables across five categories, and analysed the results to give you a hand-picked list of the best wedding photographers in Castro Valley, CA. Anna Hogan Photography is owned and operated by Anna Hogan, a professional photographer in the San Francisco Bay Area. She specializes in wedding photography and events including engagements and weddings. Her photography services also include San Francisco City Hall elopements. The style of Anna Hogan Photography is using natural light and soft backgrounds to bring out the surroundings. She seeks to create photographs that are fun, comfortable, and showcase personalities. On her website, she gives helpful tips on San Francisco City Hall weddings and how to make them unique. The website also gives her pricing and package information, so guests can easily find what she offers. Run by wedding and lifestyle photographer Thuy, Avec L’Amour Photography is a San Francisco based business that specializes in wedding and engagement photos. A photographer since college, Thuy is passionate about capturing people’s joy and helping them share it with their family and friends. Her goal with each shoot is to help clients hold onto precious moments in time through meaningful photographs. Her work has been featured in several wedding blogs and magazines including Wedding Wire and Brides. Past clients speak highly of Thuy’s talent and professionalism and they appreciated her willingness to go above and beyond to help make their wedding day perfect. Erica Rose Photography is a portraiture service in Castro Valley that tells visual stories of people. The shop welcomes individuals and groups in the picture, and it offers special packages to couples who are about to be joined in marriage. The wedding collections go beyond the solemn exchange of vows and the merrymaking that follows, and some of the added items are boudoir and couture engagement sessions. The seasoned and dedicated team uses high-tech processing systems to enhance the images, and the products include seventy-page albums “to have and to hold” and mini keepsakes. Erica Rose Photography features the latest projects on its website and Facebook pages, and it accommodates e-mail and phone inquiries about the current rates and the owner’s credentials. Goldwater Photography is managed by Jeff Goldwater, a San Francisco Bay Area-based photographer who specializes in wedding photography. After starting a small boutique specializing in designer bridal wear, he merged that passion with photography. As part of his work, he regularly attends shows and covers assignments outside of California. Goldwater Photography’s wedding packages start in the low $2000s which includes wedding day coverage and a DVD video slideshow with a musical soundtrack of the customer’s choice. Also, Jeff is available for engagement sessions, City Hall weddings, and smaller affairs, all with a minimum of two-hour coverage. Post-production editing, color correcting, cropping, and a shareable online gallery are included. NS2 Photography is a photographic studio that has been in operation since 2009 and is based in Bolivar, Tennessee. NS2 Photography specializes in utilizing natural lighting and a photojournalistic approach to capturing client images. Owner and operator, Nicka Smith, has been featured on The Africa Channel, Scrubs Magazine, The Bride's Cafe, Munaluchi Bride, and the Oakland Post. She works primarily in wedding, senior portraits, and lifestyle photography. Clients can reach out to NS2 Photography through the company site or by phone or email. NS2 Photography maintains an active social media presence to keep past and current clients updated on the latest company projects and news. Robert Gillette Photography is a photography company that is located in Castro Valley, California. Their photographers, Karina and Robert Gillette, founded Depth of Field Photography in 2010. Depth of Field Photography is a commercial and advertising business that is delivering solutions to the needs of their business clients. In 2016, Karina and Robert Gillette then established Practical Marriage, a website and YouTube channel giving marriage advice specifically to men. Karina and Robert have been shooting photographs together since 2005. Robert Gillette Photography specializes both in wedding photography and portrait photography. Their styles are candid, documentary, and romantic. Robert Gillette Photography is featured on Yelp. Robert Gillette Photography has earned 4.8 out of 5-star reviews on its Facebook page.